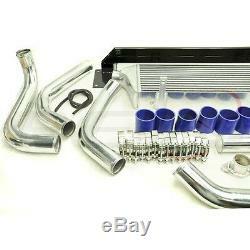 For Subaru Impreza WRX/WRX STI 2008-14 Front Mount Intercooler Convert Kit. 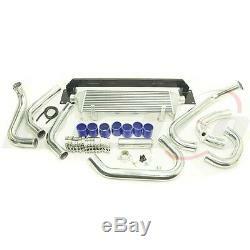 For Subaru Impreza WRX STI 08-14 Front Mount Intercooler Kit. 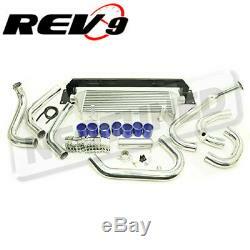 For 08-14 Subaru WRX / STI front mount intercooler (includes the STI / WRX hatchback / Sedan). 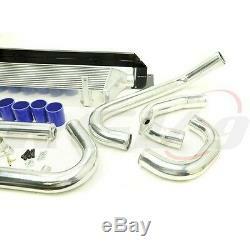 7 x pieces polish aluminum pipe set up. 7 x polyester reinforced High temperature silicone hose. 1 x reinforcement beam bracket. Specifications: Bar & Plate Design for Better Cooling Efficiency Max Horsepower Capacity : 400-500+ HP Core Length : 25" Core Height : 9.5" Core Thickness : 3.5" Inlet / Outlet Size : 2.5" End to End Length : 35 Note : Extra pipes are included for STI models. 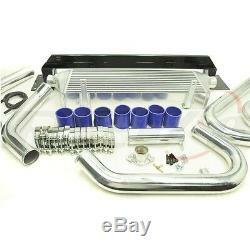 This intercooler kit will retain the factory fog lights for both STI and WRX. Doesn't come with installation instructions. ALL ITEMS ARE BRAND NEW. 48 STATES WITHIN THE U. WE WILL NOT BE HELD RESPONSIBLE. FLAT RATE FOR BUSINESS ADDRESS OR RESIDENTIAL ADDRESS. PLEASE CHECK WITH YOUR OWN GOVERNMENT WEBSITE. WE WILL DO OUR BEST TO SATISFY OUR BUYERS. We will be gladly to assist you and make sure things go right for you! The item "Rev9 For Impreza WRX STI 08-13 Front Mount Intercooler Kit Bolt-On Upgrade FMIC" is in sale since Friday, June 24, 2016.